In South County Tipperary, close to the border with Co Kilkenny, lies the small, picturesque village of Ballingarry (South). It is hard to believe, today, that a happening in this remote and beautiful Tipperary village in 1848, would connect and directly effect the outcome of one of the earliest true industrial wars and the deadliest war in American history, which resulted in the eventual deaths of 620,000 soldiers and an undetermined number of civilian casualties. I refer of course to the American Civil War (1861–1865), and the failed Irish Nationalist uprising just outside Ballingarry village, in Tipperary on July 29th 1848, led by members of the Young Ireland movement. One of this membership was Thomas Francis Meagher, writer, patriot, convict, US General and acting Governor of Montana . The paternal Grandfather of Thomas Francis Meagher had been a farmer residing near Fethard here in Co. Tipperary. Evicted from his holding after the 1798 rebellion, for harbouring rebels, he had been forced to go on the run, eventually ending up in the English colony of Newfoundland, having gained passage on a ship owned by Edmund Rice, latter founder of the Irish Christian Brothers. Here now in the capital of Newfoundland, St. John’s, he soon set himself up as a merchant, became a ship owner and began trading with Waterford City here in Ireland, importing mainly woolen goods, glass, meat, sugar, while exporting fish, fish oil and animal skins. Here he also married Mary Crotty. His successful trading in Waterford would eventually demand controlled administration and while unable to visit to oversee operations himself, (He was still technically a wanted escaped rebel) he appointed his son, Thomas (Jnr) (General Thomas Francis Meagher’s father) to this task in 1816. Thomas (Jnr) soon became an influential wealthy merchant and would later be elected twice as City Mayor and later spent ten rather undistinguished years, (August 1847 to March 1857.) as a member of Parliament for Waterford in British Westminster. He would also father a son and rebel, through his marriage to Alicia Quan (1798–1827). Back home in Waterford, Meagher joined the Repeal Movement, set up by O’Connell to repeal the 1800 Act of Union, but quickly grew bored and disillusioned with the endless debates and lack of progress. In 1843 Meagher, now tired of these Repealers, joined the Young Ireland Movement, a radical group which published a seditious Newspaper named “The Nation,” printed first from No 12, Trinity Street, Dublin, on October 15th 1842. Since most of the continental revolutions had been relatively bloodless, both men believed they could attain a similar results in Ireland. They had hoped to unite both landlord and tenant in a protest against British rule. However, the government’s announcement of the suspension of habeas corpus forced these leaders’ hands on 22 July 1848. This announcement meant the British government could imprison “Young Irelanders,” and other of their opponents without trial. Having to choose between armed resistance or ignominious defeat of their aims, O’Brien decided that the movement would have to make a stand. 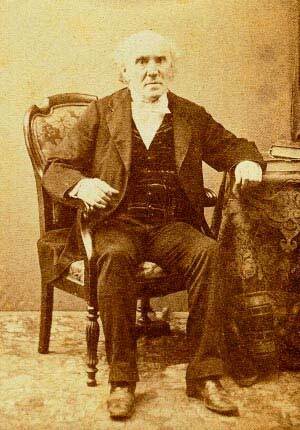 On July 29th 1848, William Smith O’Brien, together with Meagher led landlords and tenants in a rising in three counties. Although O’Brien raised a force of up to 6,000 men, armed with pitchforks, pikes and fowling pieces from the counties Wexford, Kilkenny and Tipperary, he could not provide them with enough food. (Due to the famine) Many who had joined in the hope of being simply fed, now are told to go home and get enough food for four days, in the form of ‘oatmeal, bread and hard eggs.’ No food was available and his followers soon deserted the cause, however he was joined at Mullinahone in County Tipperary by Fermanagh man Terrence Bellew McManus and a group of some 40 or more volunteers from Liverpool. With this small force they reached the area between the villages of the Commons and the townlands of Ballingary and on Saturday July 30th, they soon came in contact with a force of constables, latter who took refuge in a two-storey stone farm house standing in a cabbage garden owned by a lady known as “The Widow McCormack,” a mother of four children. This encounter, which came to be known as the Battle of Widow Mc Cormack’s Cabbage Patch would soon heralded the end of Repeal and the Young Irelander movement. With the four children alone in the house, the police barricaded the windows using Mrs McCormack’s furniture and mattresses, ripping down her mantelpieces and removing doors off their hinges. A frantic Mrs McCormack on returning to the houses demanding the release of her children. William Smith O’Brien calls a truce to get the children, who had been placed, for safety, in a press under the stairs. 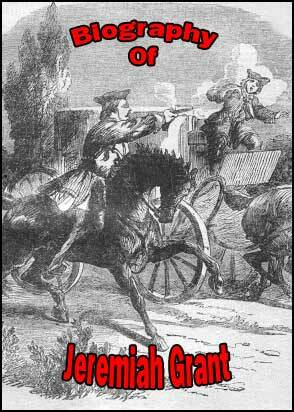 The insurgents had been setting about attempting to smoke the constables out of their fortifications using hay from Mrs McCormack’s hayrick, when Smith O’Brien climbed onto a window-sill to negotiate and shaking a constable’s hand, states that it is not their lives, but their firearms he wanted. However, some insurgents now began throwing stones. The police retaliated, firing two volleys. Two men, Thomas Walsh, and Patrick McBride, were shot dead, in the ensuing gun fire, two others are severely injured and Smith O’Brien receives a bullet in his leg. When a party of the Cashel police, under Sub-Inspector Cox, are observed arriving over Boulea Hill, it becomes clear that the police in the house would be reinforced. Low on ammunition, the would-be revolutionaries then flee Ballingarry. Repeal and the Young Ireland rebellion of 1848 comes to an end. Thomas Francis Meagher together with Patrick O’’Donohoe were later apprehended at Rathcannon, Holycross, Thurles, and Smith O’Brien was arrested at Thurles Railway Station, both are tried for high treason and both are found guilty and sentenced to be hanged, drawn, and disemboweled, despite the jury making a strong plea for mercy. In a rare gesture of clemency, influenced by a public outcry both from home and abroad, this sentence was changed by Royal Command to Transportation for life and so, in July 1849, Meagher was transported from Dun Laoghaire on the S.S. Swift to join his friend Mitchell in Tasmania. He would never see Ireland again. Because Meagher and Mitchell were both convicted of political offences, they were not treated in Tasmania as criminals and were therefore designated “ticket of leave” Prisoners. This meant that they could build their own accommodation, were given a piece of land to cultivate, had to give a certain number of hours to government work each week and had to live in a precise designated area. This system saved the Government the expense of feeding and housing them and it was hoped that such people would eventually colonize the country. There were many such ticket of leave prisoners amongst them, a 1798 rebel from Wexford, named Bennett, who had married a native woman and had a family, one of whom, Catherine, a girl of 17 years, Meagher fell in love with and married. They had a son who died in infancy and lies buried in Hobart. In November of 1850, Meagher’s now in-laws procured a boat for him and under cover of darkness, and with a fellow prisoner McManus set out to sea, hoped to reach New Zealand. They had no nautical equipment and went with the knowledge that if captured, the then mandatory sentence was death. After five days at sea in an open boat, they were picked up by an American Whaling ship, whose captain was violently anti British and delighted to assist what he saw as fellow rebels. Meagher worked passage on the whaler in the Antarctic, before landing in New Haven, Connecticut in February of 1852. From here he travelled to New York and was feted by his fellow countrymen, who regarded him as a hero. Meagher was now 29 years old. History, adequately records Thomas Francis Meagher’s exploits and major contribution to the Union side during the American Civil War. The Irish after all represented the largest percentage of volunteers to fight for both the Union and the Confederacy, with over 180,000 Irish natives plus 400,000 Irish Americans. At the outbreak of the War, Meagher raised Company K, Irish Zouaves, for the 69th New York State Militia Regiment, (The Fighting 69th,) which fought at the first battle of Bull Run under Colonel Michael Corcoran. Subsequently Meagher would go on to raised the Irish Brigade and command it from February 3, 1862 to May 14, 1863. The Irish Brigade suffered its largest losses at the Battle of Fredericksburg. Brigade chaplain Father William Corby later stated, this was “a body of about 4,000 Catholic men marching, most of them to death.” The Irish Brigade also suffered huge losses at the Battle of Antietam on September 17th 1862 against the Sunken Road (later referred to as “Bloody Lane“) loosing 540 men to heavy volleys, before eventually being ordered to withdraw. Summer (April – Sept): Wed – Sun 14.30-17.30. Winter (Oct – March): Sat & Sun only 14.00 – 16.00. Herein lies my connection. My Great Grandfather, Pierce Hayes, was born in Loughmore north of Thurles in 1844. After the Famine Time he emigrated to Massachussetts. At 19 he was recruited into the 28th Massachussetts Regiment, an all-Irish unit, to fight for the Union. He was severely injured in the Battle of James Island, South Carolina in 1862. He survived into his eighties and his lineage leads to me. Thomas Francis Meagher was known to travel around the states giving rousing speeches to entice young Irish immigrants to join the cause. I have no direct evidence of a meeting between the two, but I have to believe that my ancestor’s choice to enlist was directly or indirectly influenced by the passion of Meagher. I also know where Thomas built his house at Meaghers Bay, Lake Sorell Tasmania where I hope to re visit its ruins and take some photos. 1. The Granville Hotel is not on the Mall. 2. Regarding Meagher ‘despising’ O’Connell – nothing could be further from the truth. Meagher admired O’Connell but disagreed with his imposition of the ‘peace resolutions’ on the repeal movement. Meagher’s ‘sword speech’ is prefaced by the remark that he admired O’Connell and his achievements. (1) Not any-more. It later was referred to as an esplanade, latter a long, open area next to the river where fashionable Victorian people walked for recreational purposes. Today it is called the less exciting name of The Quay just a few hundred yards from the now named Mall. (2) Regarding Meagher ‘despising’ O’Connell, this of course is a matter of opinion, but shortly I will forward to you historical evidence to prove point made in blog. My father is from Tipperary. I believe I was named after one of his ancestors. Quite possible, Thomas Meagher’s grandfather was a farmer from Fethard, Co. Tipperary. What became of Thomas Francis Meagher’s only son Thomas Francis Meagher. Is there any history on him?